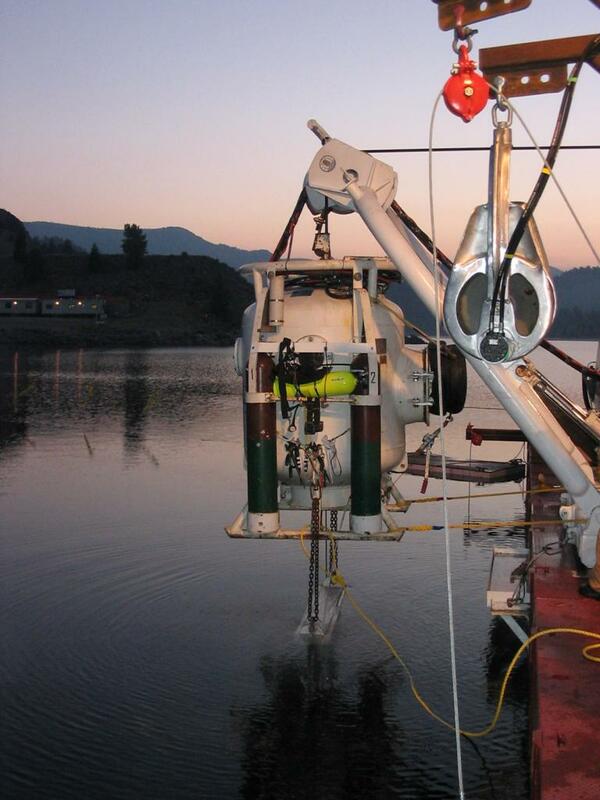 Underwater Installation of Inlet Gate - Global Diving & Salvage, Inc.
Our work at Gross Dam was performed in 285 feet of water and at an elevation of 7,300 feet using saturation diving techniques. Tasks included furnishing, installing and grouting in place 47 feet of concrete jacking pipe to form a structural liner in an existing inlet tunnel. 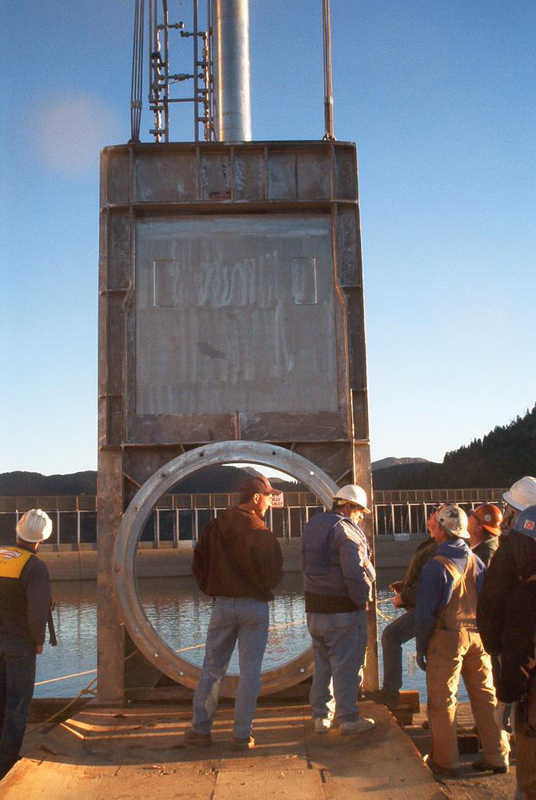 An 18-ton stainless steel inlet gate was installed within very tight tolerances. Stainless steel hydraulic lines were fabricated and installed from the crest of the dam to the inlet gate, which included anchoring pipe brackets along the steeply sloped and highly irregular reservoir floor. The existing trash racks were modified along with the installation of new trash rack components to facilitate the installation of the gate valve. Work was completed during a single 50-day saturation diving run. An innovative system of winches and track allowed the large-diameter sections of steel reinforced pipe to be positioned into place with exact precision. Each pipe segment was advanced through the tunnel using a hydraulic jacking sled designed to mate with the bell end of the pipe segments. 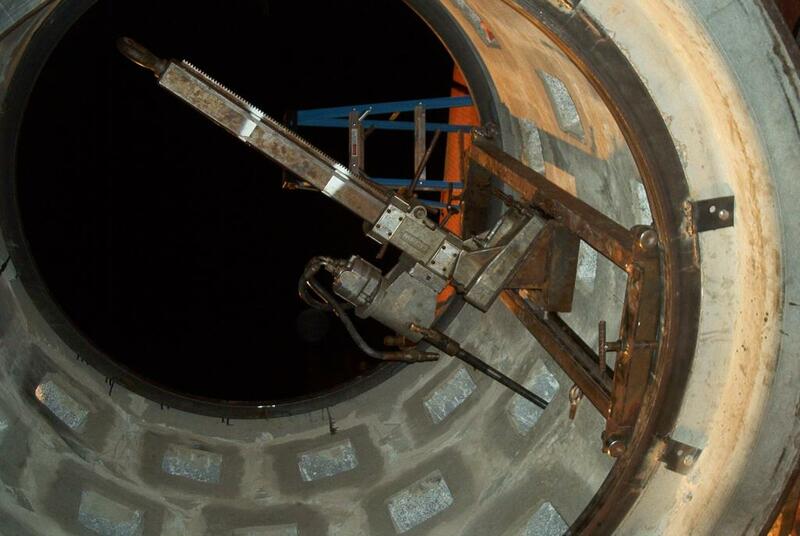 A steel jacketed thrust collar located at the downstream end of the liner resists thrust from the closed gate. 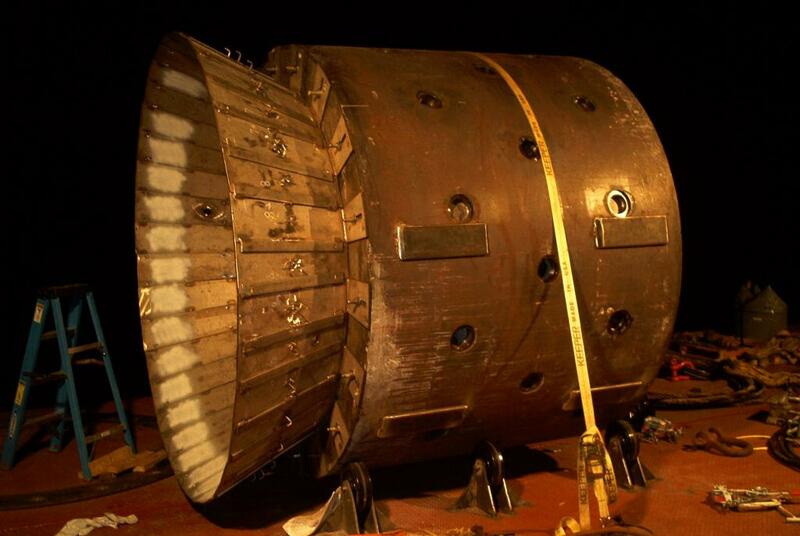 The thrust collar was installed, grouted in place and then anchored to the existing substrate using rock anchors. Holes for the anchors were core drilled using a hydraulic drill mounted to a circular track system designed to be attached to the interior of the thrust collar, allowing a 360-degree drilling angle. Pre-job engineering enabled complex construction tasks to be performed at depths approaching 300 feet.